Generally, people know one thing about Anthony Perkins, and that’s Norman Bates, which is both a great and terrible thing. We remember this character because Perkins gave him a fidgety humanity that many movie heavies lack, and that’s a testament to Perkins’ effectiveness as an actor: to make movie-goers identify more with the murderer than with the flighty dumdum who gets murdered. But then again, I suppose the less cinematically literate among us just focus on the cross-dressing aspect of Norman’s character, and that somehow dovetails into Perkins’ real-life sexuality, which tends to be the second thing people know about Anthony Perkins and, like Norman’s, tends to be an unresolved gray area. 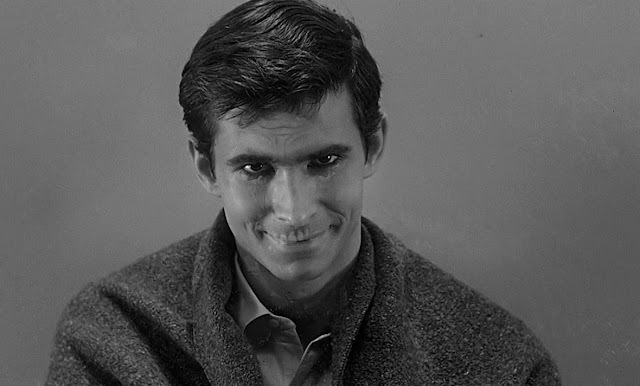 Anthony Perkins was more than just the bad guy from Psycho however. In fact, Norman Bates probably added up to a very small part of his life. For example, there’s script The Last of Sheila, which, as I mentioned before, Perkins wrote with Stephen Sondheim. It’s a tight script, and one of those rare murder mysteries that don’t cheat. If you’re especially clever, you could guess the killer in the first twenty minutes. The clues are there. They’re just hard to notice. But here’s the thing: I’d probably dismiss the song entirely were it sung by someone other than the guy who played one of the most famous movie murderers ever. Perkins’ role retroactively makes the song way creepy. I mean, if Norman Bates were asking you to get “far away from the crowd / all alone upon the beach,” you should probably conclude that he wants to stab you to death. There’s none of that menace inherent in the song, however. That’s just us, projecting Perkins’ most famous role onto the plain sweetness of the song, which in this new context seems like a facade hiding something rather sinister. Why else sound so cheerful? While Perkins didn’t go on to become a music star — singing love ballads, murder ballads, both or neither — his son Elvis Perkins has made good on the musical potential. In 2008, he put out “Shampoo,” a decent indie rock single that, a dark love song whose references to wigs and hair, now that I think about it, still take me back to Norman Bates. Alfred Hitchcock, what have you done? This song reminds me if Indian Love Call. Do you know it? It's also a sweet song that has ended up sounding creepy because of it being in scary movies. That's a good point. There's no reason why "Indian Love Call" should be creepy, but I think about it that way because it was featured in an episode of "The X-Files" (I think) and actually on the soundtrack to the Gus Van Sant "Psycho" remake as well (I know for sure). But still: someone had to think the song was a little off in the first place in order to warrant its inclusion on those soundtracks.